Struggling to upload photos any advice please. 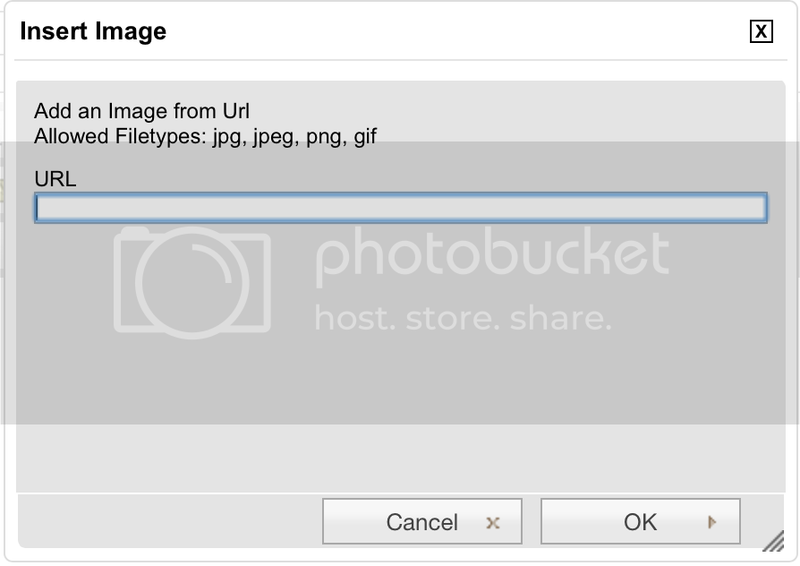 I'd suggest uploading to somewhere like Photobucket before you try anything - saves hassle in the long run! Just paste the IMG link in to the box, click 'OK' and that should be that - your picture should be uploaded. You may need to trim off the spare [IMG] tags, but you'll see what I mean when you upload your picture! Last edited by RedsBluesGreens; 01-21-2015 at 09:07 PM. Reason: Clarity.. The photobucket way is the preferred way, but the EASIEST way may be to download 'tapatalk' on your mobile device, and to post photos through the app. It does all the work for you. Just go to your photobucket account, go to your picture, click on the link button, then click on the IMG code, copy it, and paste it directly into your message on the forum! Should work!